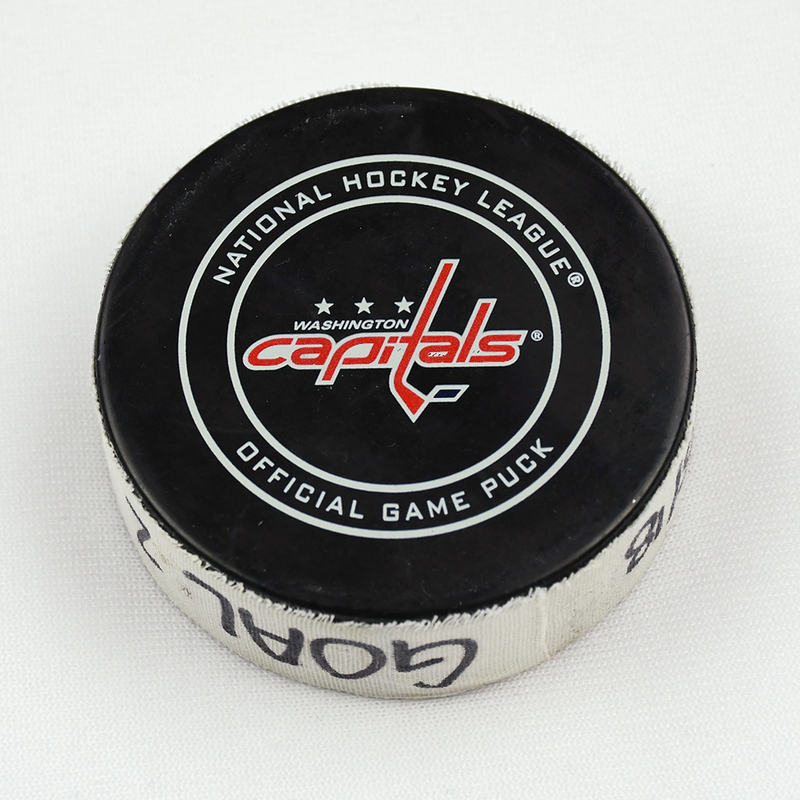 This is the puck that was used by Alex Ovechkin to the 47th goal of his Stanley Cup Playoff career. 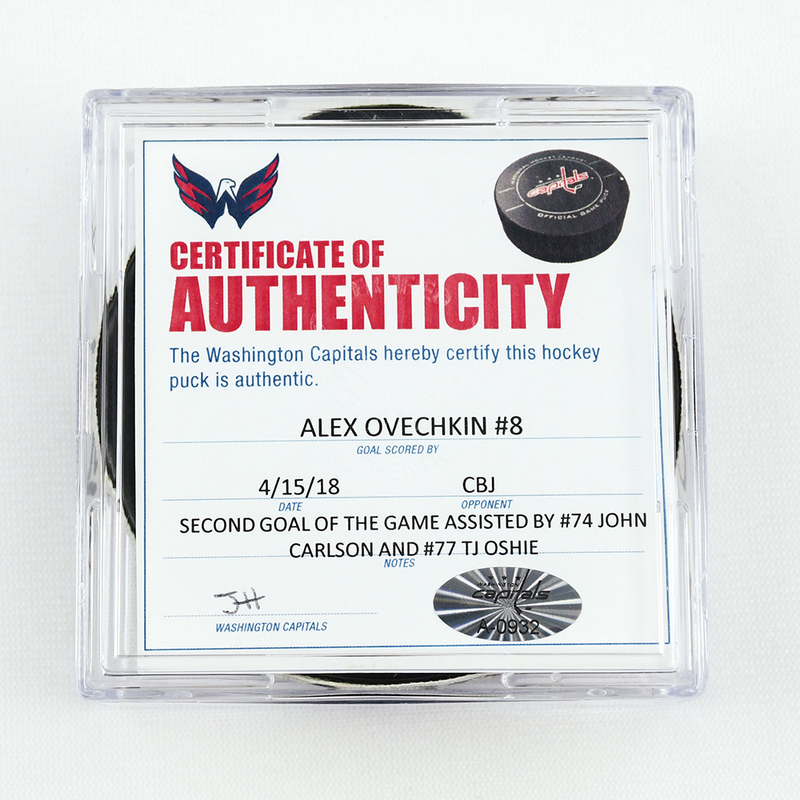 The goal, Ovechkin's 1st of the 2018 Playoffs, was scored at 13:26 of the first period and was assisted by John Carlson and T.J. Oshie. The Columbus Blue Jackets defeated the Washington Capitals, 5-4, in Game 2 of the first round of the 2018 Stanley Cup Playoffs on April 15, 2018 at Capital One Arena in Washington, D.C. 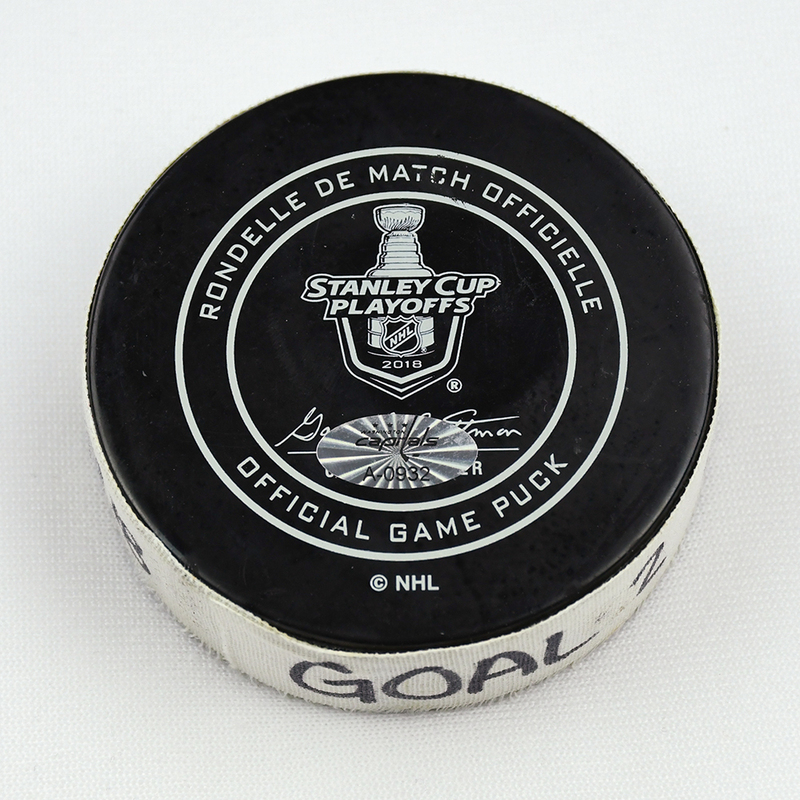 This puck is registered into the MGG Game-Worn Jersey Authentication Program as number A-0932.